While the time is flying after convention in Vegas, here it is a nice preview of the doll we created for that special event. We also have been donated a special OOAK doll to Live Auction for Charity which was bidded for 1700$ , all money went to Children Affected by AIDS Foundation. 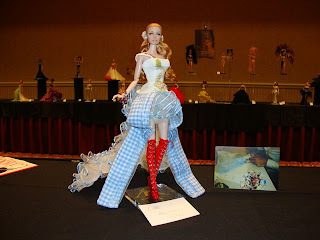 and now still waiting for Cleveland Barbie Convention! WOW!